Valentine's return gift from Babbage. 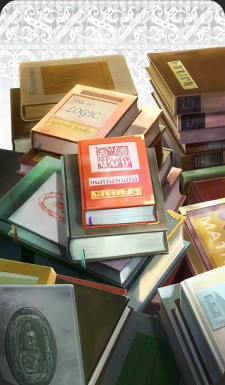 Numerous mathematics texts are stacked on top of each other. Every book read is like a step up a staircase. Reading them expands your knowledge, and you are sure to climb the staircase they form.